As a new partnerships ranger based in the Taupō office my first month has been filled with expeditions, meetings, greetings and exploring the Taupō King Country area. My role is all about promoting our recreational opportunities, so it’s important for me to experience the full range of what my district has on offer. It started with a bang when day one saw me up Mount Ruapehu taking part in the emergency lahar response drill – a beautiful day up the mountain, but also a chance to meet lots of new faces from the neighbouring Tongariro district. On day three I visited Lake Rotokawa north of Taupō. What a hidden gem this site is! 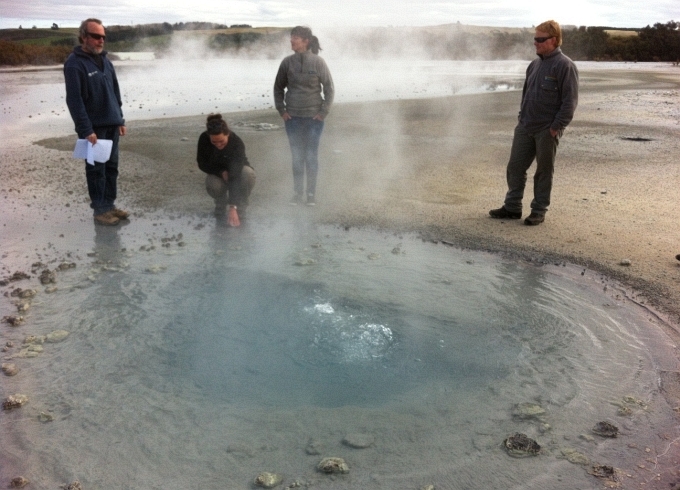 Once used as a sulphur mine, the area is now surrounded by private land but DOC and Rotokawa Joint Venture offer a visit to the area every year during the Mahi Aroha summer programme. 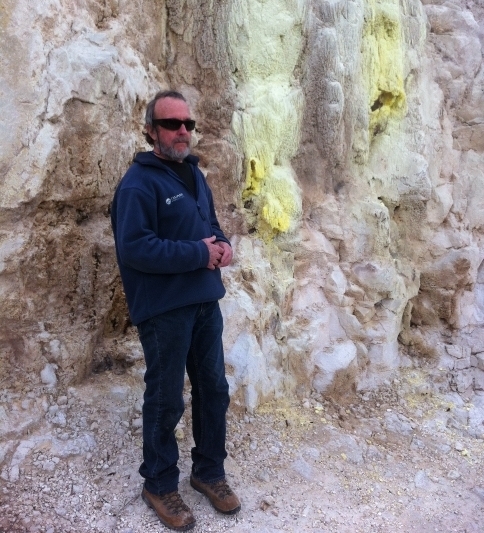 Harry Keys, our resident geological science advisor, took us on a guided tour to see the bubbling lakes and pits, steaming craters and beautiful sulphur crystals. As a Taupō local I had no idea we had such a great site right on our door step. Another exciting opportunity came along in week two when I joined Plateau Productions for an aerial film shoot of the Great Lake Trail organised by DOC. Having ridden and hiked the trails, it was fantastic to see them from the air. 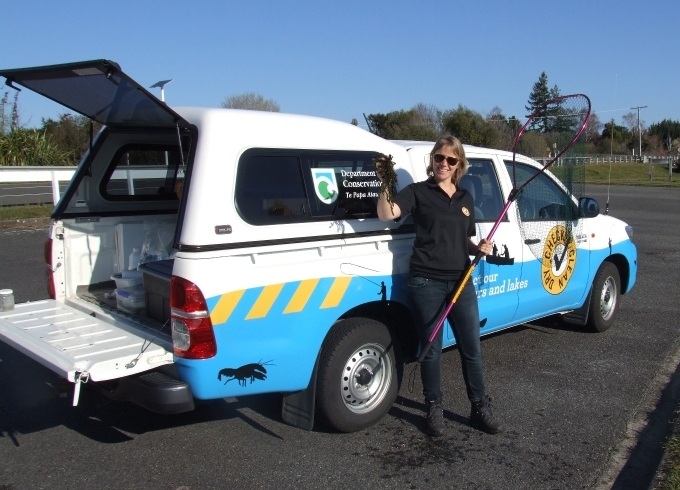 Taupō is traditionally all about our beautiful lakes and rivers – appropriate then that my third week’s mission was learning all about protecting these assets with Freshwater Threats Ranger, Brenda Lawson. The main part of Brenda’s role is advocacy, getting the “Check, Clean, Dry” message out there, for visitors and locals alike to see the value and take it on as regular practice. 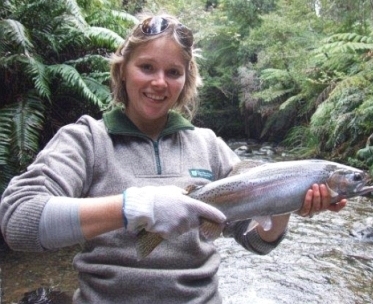 But every month, she also gets out in the rivers to test for our biggest threat: didymo. 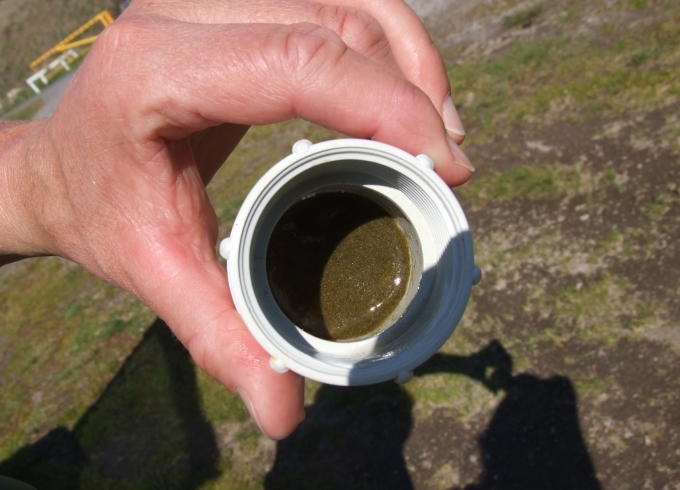 I had heard of didymo, but like many, believed this was a South Island problem, something we didn’t really have to worry about. It may not be here yet, but there is no scientific proof to say that it won’t grow here. Would you rather take a few minutes to Check, Clean, Dry or see your favourite river ruined forever? So I found myself down the Waikato and Waitahanui rivers observing as Brenda took samples to be sent to Waikato University for analysis. 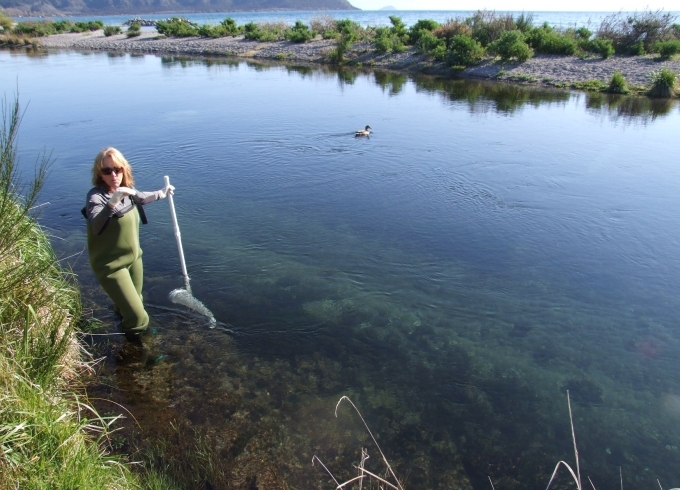 This process is done every month on the Tongariro, and every three months on eight other rivers in the Taupō catchment. 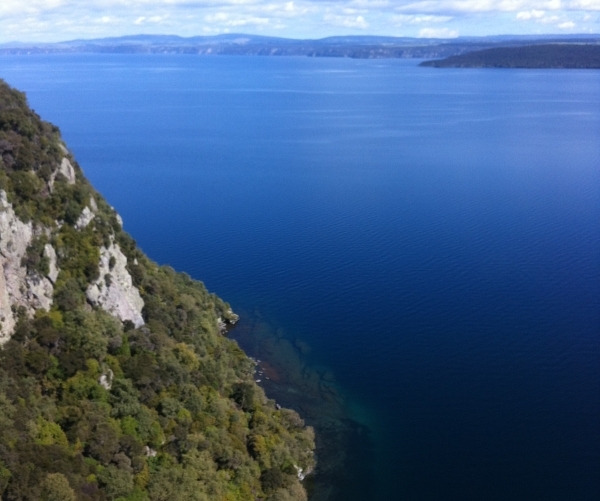 So far so good for Taupo, but it only takes one microscopic particle to be carelessly transferred and then we would have an outbreak on our hands – which would be a huge blow to our tourism industry. 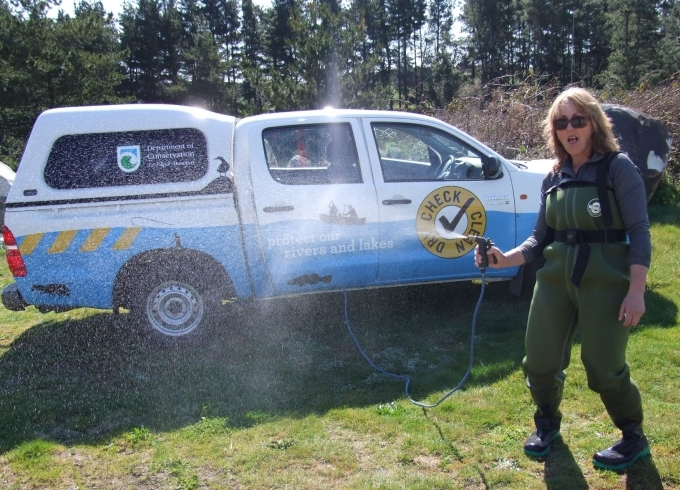 Dedicated to protecting our waterways, Brenda of course checked and cleaned all gear between rivers – a routine taking only a few minutes, showing me just how easy it is. It’s been an amazing month and I have been out and about doing some interesting and exciting trips in the air, on the land and on the water. After my first day of didymo testing. I have learnt so much in such a short time. Our staff get to see and do some amazing things, but I have been told that it won’t be like that every day. But I am looking forward to taking part in some of the Mahi Aroha summer programme trips such as whio white water rafting on the Tongariro River and kayaking the Waimara Wetlands. Watch out for the Mahi Aroha programme of events on the DOC website. Go Millie! What a fantastic & fun first month! It is going to be easy to convince people to come on over here! You are perfectly versed in Check Clean Dry. Let’s protect our playground! Woop woop!